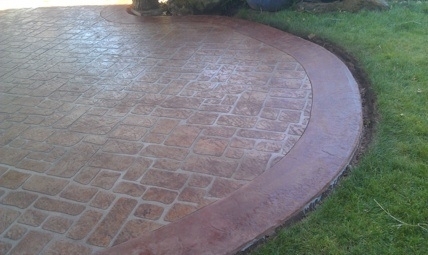 Stenciling is typically done with a wax impregnated paper in a roll that is precut to patterns that can be selected from a catalog (stone, brick, etc.). 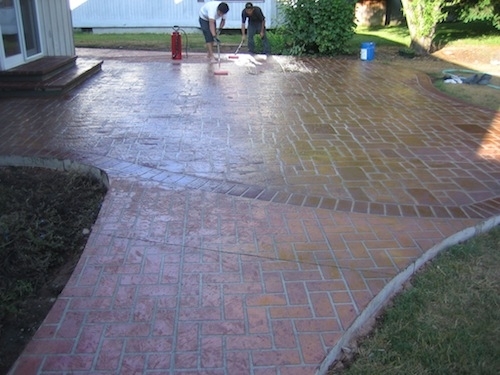 The stencil is then wet set into the concrete when the concrete is first laid. 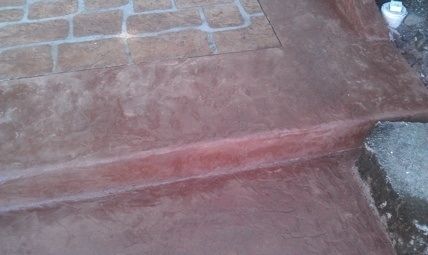 Then color hardener is cast over the concrete, troweled in, release agent is applied, and it is textured. 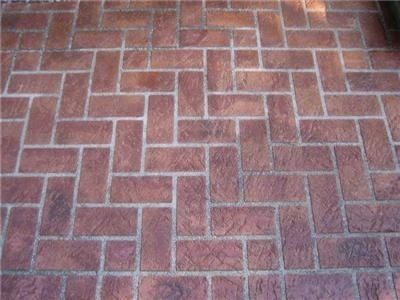 The result is a realistic tile stone or brick look that is extremely durable due to the color hardener product. 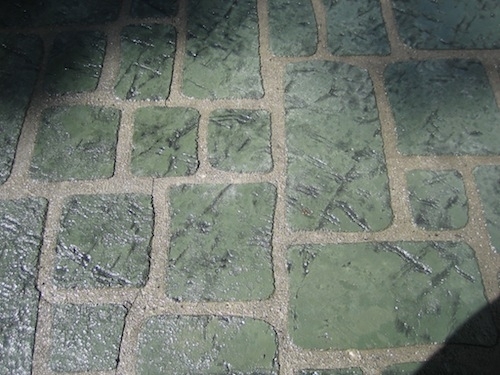 Stenciling can also be applied in an overlay with a sticky-back adhesive version of the stencil laid over the base coat (grout layer), then subsequent layers and colors are applied to again create unique and realistic looks. 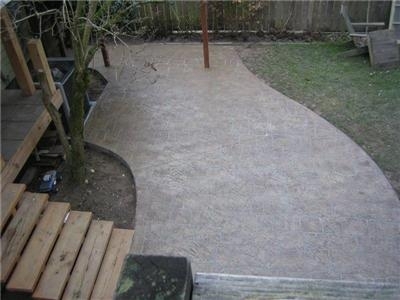 Is stenciled concrete for overlayed concrete only? No. 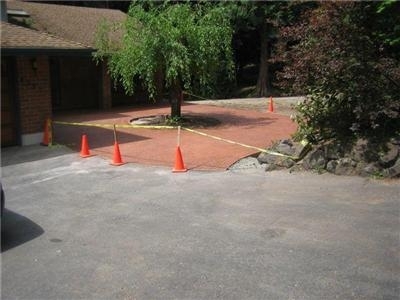 New concrete or overlay options are available. 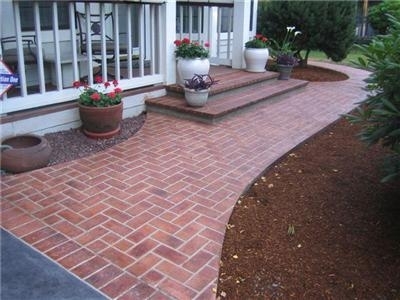 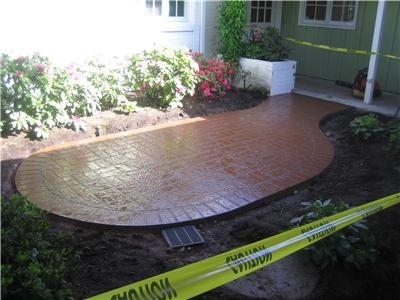 Patios, walkways, and driveways are common places to find stenciled concrete. 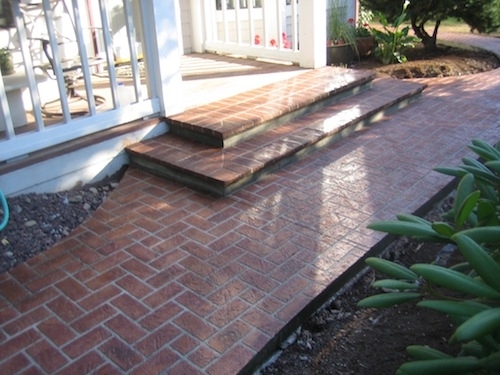 Stairs and steps can be cleverly done as well. 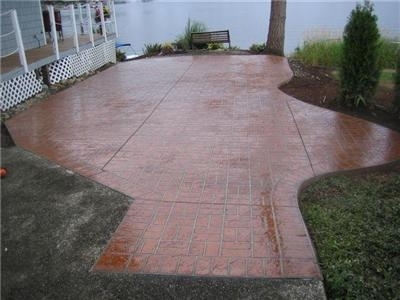 What stencil patterns are available? 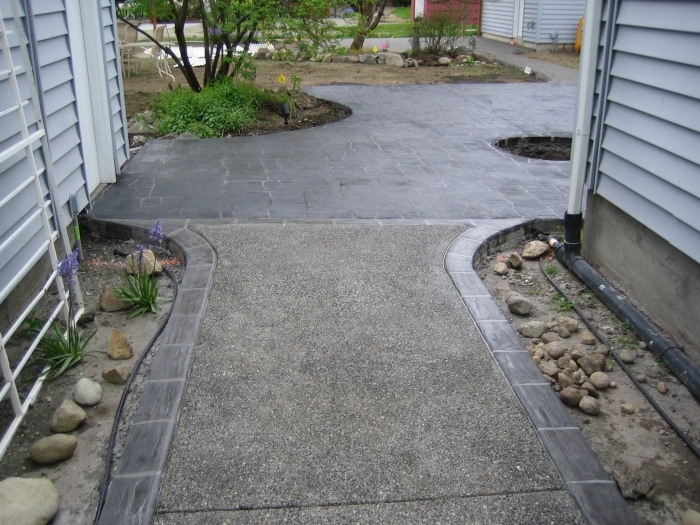 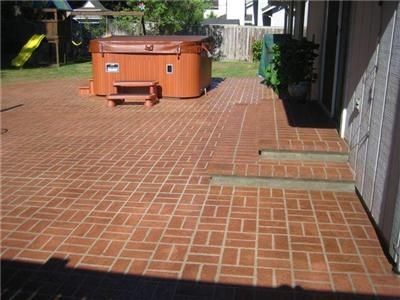 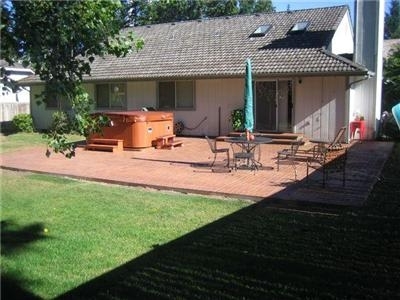 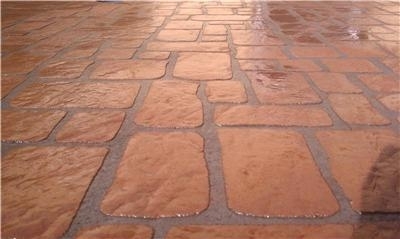 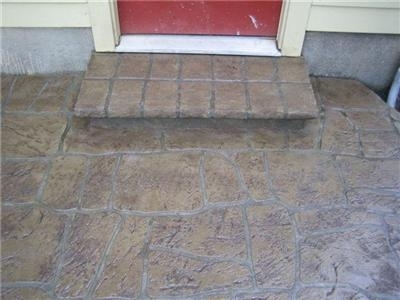 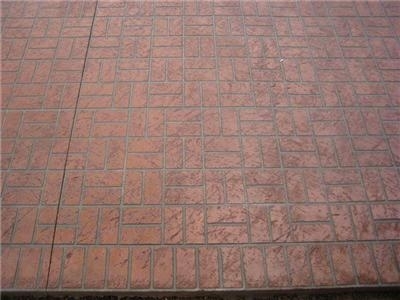 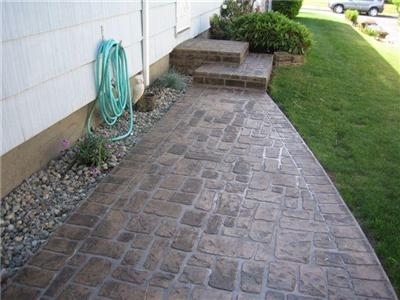 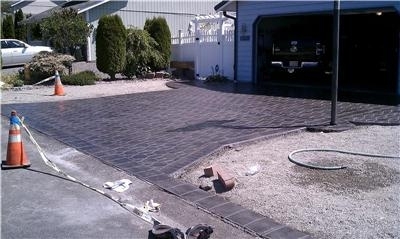 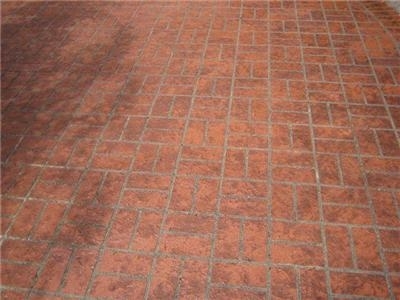 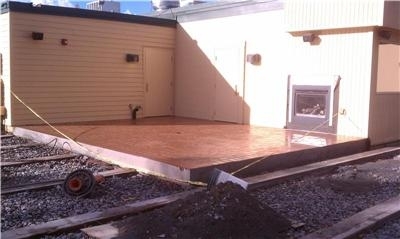 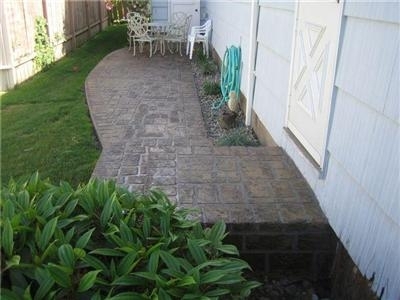 All of the patterns used commonly in stamped concrete are available. 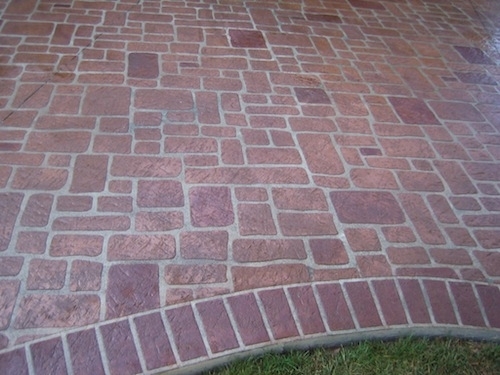 It works very well with brick patterns. 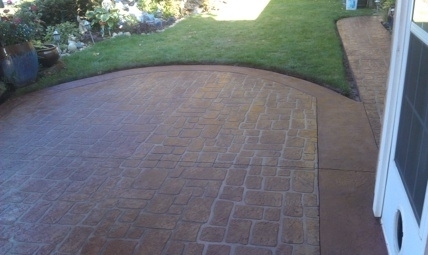 Rosettes and compasses are available, as well as custom stencils (logos, names, and image files). 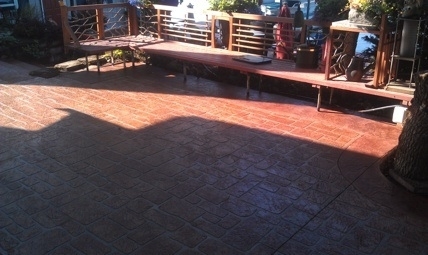 What is the difference between stamped concrete and stenciled concrete? 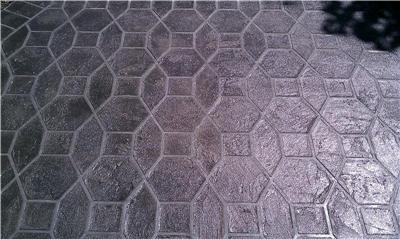 Stenciled concrete creates a realistic grout line that looks more like real stone, tile, or brick. 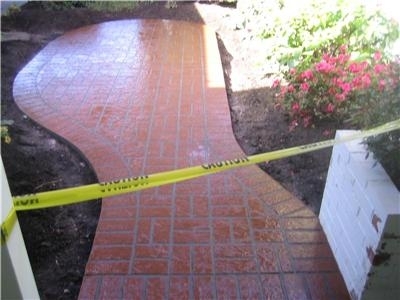 It can be very convincing when done correctly.